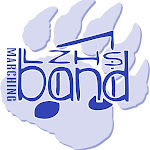 Lake Zurich HS Band: Band Concert Coming! Educate Yourself!!! Have you ever sat in a concert struggling to stay awake? Perhaps when your child plays its easier to stomach, but the music all starts to sound the same after a while. Each person's experience with classical and/or band music will make the concert different, but I can't tell you how many times I've fallen asleep listening to classical music and I'm a trained musician. I have a theory, and I've seen this proven MANY times. The reason we get bored is that we don' know what we are listening to. When we were in Spain at the Prado museum, I watched our high schools students walking around listening to the guide, absolutely captivated by what they were seeing. That doesn't ever happen to me when I just walk around a museum by myself. The reason was that the guide was showing them what to look at, adding historical perspective, training them to see the art in a new way. That being said, I want to put a challenge to you. This next concert, I want to ask you to prepare yourself for the concert and see if the experience isn't at least a little better for you. We've done this with the students and we see that their concert experience is vastly improved. I want to ask you to watch/listen to the links below. I realize that this may take some time, but you have 3 weeks before the concert so you can take your time to get through them. Of course, the more you listen to the recordings the more your reward-you'll get out of it what you put into it, but I know you will enjoy the concert a lot more even if you just hear them once. As we get even closer to the concert, we'll try to send out some program notes on each piece so you can even better be prepared for the music you'll hear. I hope you try this!! You'll be surprised at the outcome!